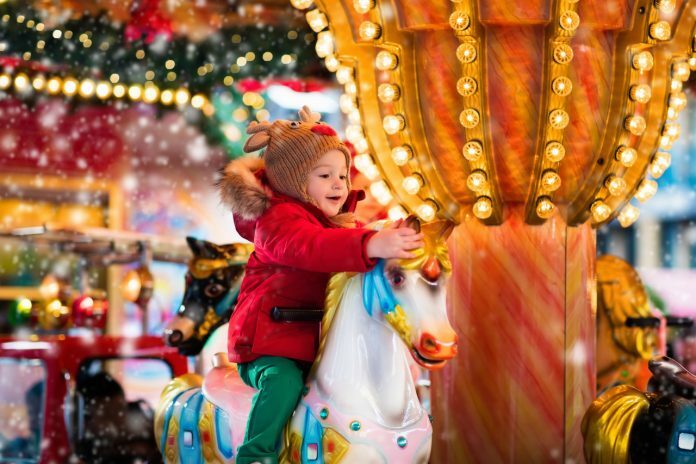 Winter Funland is an all-encompassing festive extravaganza for all the family, bringing together a fantastic sparkling line-up of rides, entertainment and seasonal magic. Boasting a new 1000 seater auditorium, visitors can sit back and be entertained at Winter Funland with live shows from a line-up including CBBC star Andy Day with his fantastic Odd Socks band. They’ll be appearing with live shows four times a day. There’s also performances from Frozen, and a spectacular festival circus. The festive extravaganza opens its doors to the public on December 7. Delivering a memorable experience this Christmas, this year Winter Funland’s emphasis is on bringing people together to enjoy a superb day out with their loved ones, without it costing the earth. With one all-inclusive admission ticket and nothing extra to pay once inside tickets will include all of the fun from live shows to ice skating and rides all included in your entrance tickets – plus children under the age of three go free too. Christmas wouldn’t be Christmas without Santa, which is why the big man himself is taking residency at Winter Funland this year appearing in the must-see Winter Funland Grotto, complete with live reindeer. And yes the grotto experience is another must see that’s included in the admission ticket. The organisers want to invite 1000 local children to their launch party as their guests, and so they are asking young people’s charities to apply for places. Winter Funland organiser Simon Goldman says: “Christmas is such a special time of year, and we want to extend the goodwill of the season and spread the magic of the festive season. Running until 1st January, there’ll be two sessions every day with incredible fairground attractions, plus a new ice-rink so families can take to the ice to make some magical memories. Tickets are £22.50 per person and under 3’s go FREE. Early birds can save £10 when purchasing 4 tickets together in one transaction when they buy their tickets online at www.winterfunland.com before Saturday 29th September 2018. Children’s charities can apply through the website for tickets to the exclusive launch party.